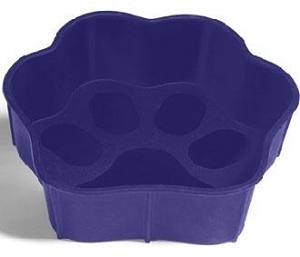 For pets on the go or at home. 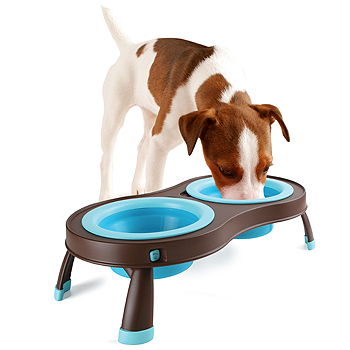 This platform feeder features two removable & portable bowls that can also be used alone. 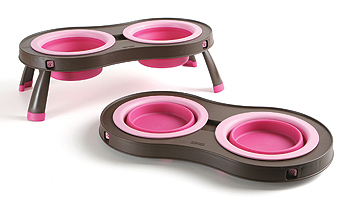 Both bowls and legs collapse flat to a mere 1.5 inches for easy storage. Perfect for traveling, everyday home use, or use in RVs, boats, cars, hotels, and camping. Dishwasher safe. 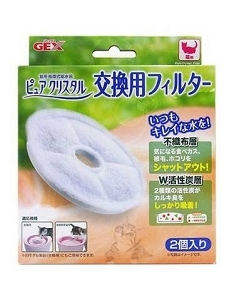 Thoroughly washes clean when collapsed.